Recent news from Africa was rarely positive. The deadly Ebola virus also affected this year’s Africa Cup of Nations that took place from 17th January to 8th February. Brave enough to face this hazard, PUMA’s Sports Marketing department was on site to service the participating PUMA teams Ivory Coast, Cameroon and Ghana by serving them with all equipment and providing other PUMA departments with imagery and media content. Teamsports employees Simon Holthaus and Bruno Meier were happy to share their impressions with us. The 2015 Africa Cup of Nations (AFCON) was quite a special one, since the competition was relocated from Morocco to Equatorial Guinea two months before the start of the tournament, leaving the host country not much time to organize the event. The relocation came about after Morocco had refused to host the tournament as it feared the Ebola virus would spread further. Equatorial Guinea, a country of 700.000 inhabitants, that due to an irregularity had been formerly expelled from the AFCON qualification, hosted the Cup in the best possible way, but could not hide infrastructural problems: In order to get an MRI scan after being injured in the quarter final against Guinea, Ghanaian player Asamoah Gyan had to fly from Malabo, located on the island part of Equatorial Guinea, to the mainland. Being on site, we were confronted every day with measures destined to curb the Ebola virus. As soon as we landed at the airport, nurses with mouth protection greeted us by taking our temperature and handed us disinfectant hand lotion. While driving through the streets, people were made aware of the Ebola risks through banners and posters. During games, medical officers permanently handed us disinfecting lotion. Finally, before the kick-off, both teams got together behind a banner supporting the fight against Ebola. Besides the medical control, military control was omnipresent as well. Being escorted on the way to the stadium or on our way to meet with the teams confirmed Equatorial Guinea’s status as a country ruled by an authoritarian regime. Our Africa experience taught us how to manage to get things done under ‘different’ circumstances. Simple things like printing documents or checking in at the airport took an incredible amount of time. We had to deal with not having internet access, people not showing up or having significant delays to attend meetings. Opening times were not existent anyway. The ability to adapt to certain circumstances was definitely one of the benefits we gained during that time. It is probably witnessing African football passion that we will treasure the most. Loud drum music played by hundreds of fans to welcome the teams at the airport was an experience we will never forget. From the first minute after kick-off, music was played in the stands, people danced and cheered in amazing, colorful costumes, creating this unique stadium experience. Without a doubt, we made experiences we will never forget. 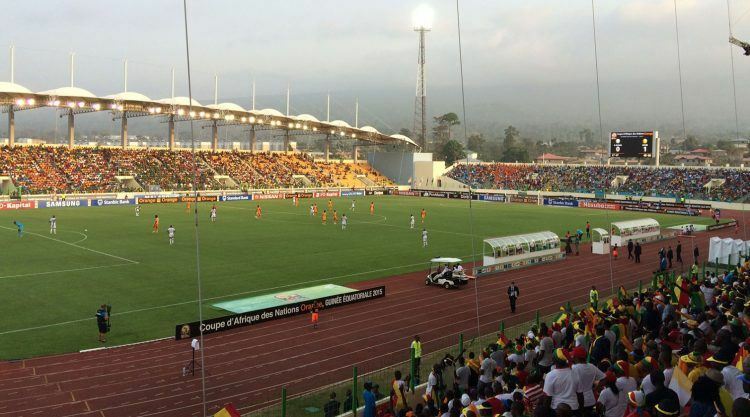 With Ivory Coast, Cameroon and Ghana, three PUMA teams were competing for the AFCON title. While Cameroon sadly did not make it past the group stage, Ivory Coast and Ghana were facing each other in the Cup`s final. 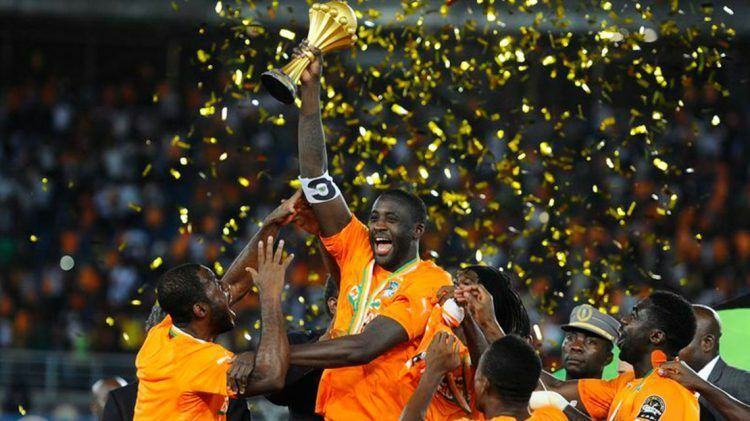 After a nerve-racking match, Ivory Coast defeated Ghana 9-8 in a penalty shootout. Besides our three contracted teams, PUMA gained in visibility from Gabon and Senegal as non-contracted teams which benefited from our equipment. Simon (left) towards the end of the final match Ghana vs Ivory Coast. When the riots began he got stopped on the way down to the field of play. According to the security, it was too dangerous to go down in Ghana wear, so a friend from Orange helped out. Bruno and Keita, Team Manager of Ivory Coast. Super fandom: In front of the hotel where the Cameroon team stayed. The sad fan screamed over an hour. Posters with information on Ebola were displayed everywhere in the cities. PUMA and Red Bull are back on board! "My biggest achievement is my two daugthers"